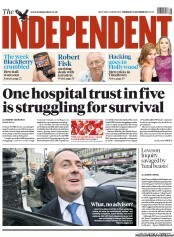 Oct 13, 2011 – Today’s front pages – Daily Mail, Times, Telegraph, Independent, ‘i’ – carry NHS stories. 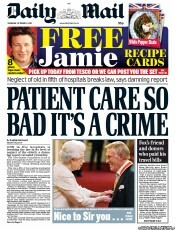 The Mail, Telegraph and Times go with a report about the National Health Service “failing the elderly” so badly that it’s “breaking the law”. 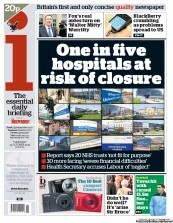 The Independent and ‘i’ run with a National Audit Office (NAO) report about financial crisis in the NHS. 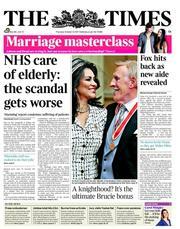 Curiously, the ideological rightwing pressure-group, TaxPayers’ Alliance (TPA) has also just (today) published a “major analysis” on the NHS, called Wasting Lives – which supposedly “exposes how the huge increase in healthcare spending since 1999 has had no discernable effect on mortality rates”. 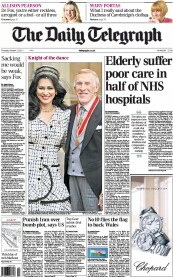 The TPA report was covered in today’s Telegraph, Mail, Express and Sun. PFI is currently being reframed by the right (eg TPA and Tory ministers) as a sort of wasteful-government Labour scheme. 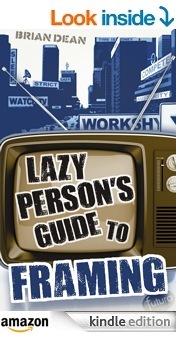 But it was a neoliberal creation, first implemented in 1992 by the Conservative government. At the time, Labour critics described it as a “back-door form of privatisation“, but the later Labour government adopted it. Two months after Labour took office in 1997, Alan Milburn, the health secretary, announced that “when there is a limited amount of public-sector capital available, as there is, it’s PFI or bust”. “Limited amount of public-sector capital available”? Hold on, that was 1997, not 2011. In fact, as George Monbiot pointed out, “the problem was that much of what the NHS wanted to do was not attractive to private financiers”. Incidentally, the ideology (and initial framing) of PFI looks, to me, strikingly similar to that which causes the TPA to assert: “more competition would produce better results for patients”.